There's no wrong way to wear these mini diamond hoop earrings. 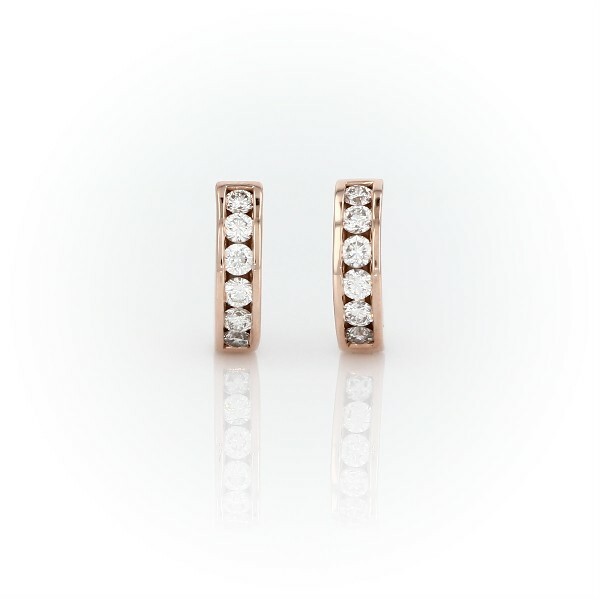 Crafted in striking 14k rose gold, they feature channel-set round brilliant-cut diamonds and a smooth hinged closure. Their petite size and simple styling make them a great choice for everyday wear.